This is our archived schedule from 2015. 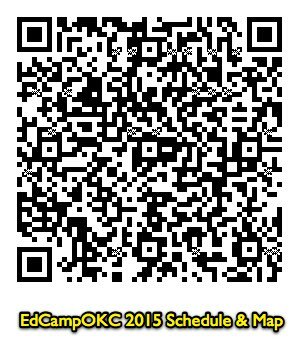 Use this QR Code to share the link to our session grid! 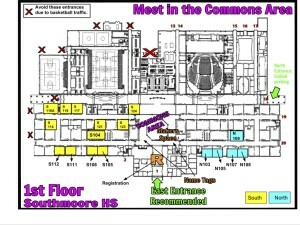 Our event map is also available as a PDF file. 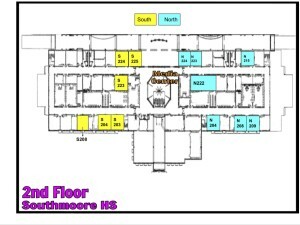 Click below to view a larger version of each floor map. 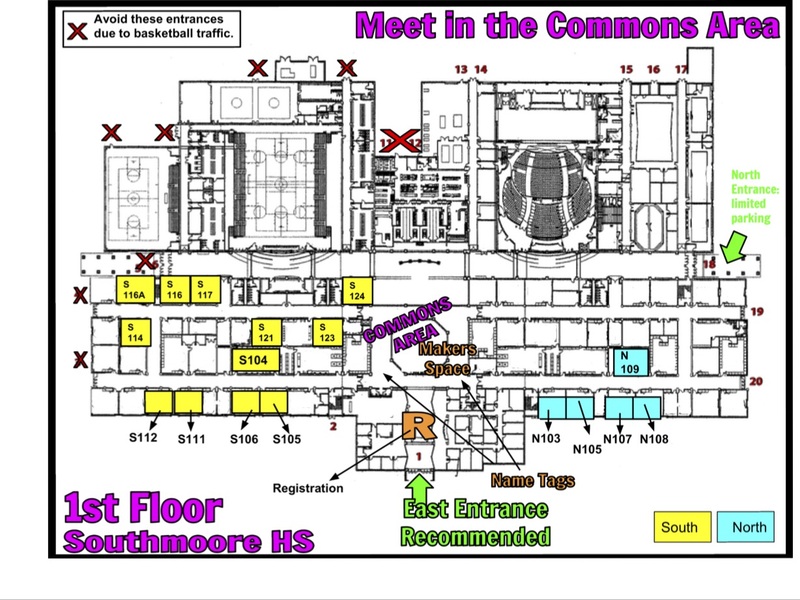 Please note 2 entrances are recommended (East and North) because of basketball parking/traffic. 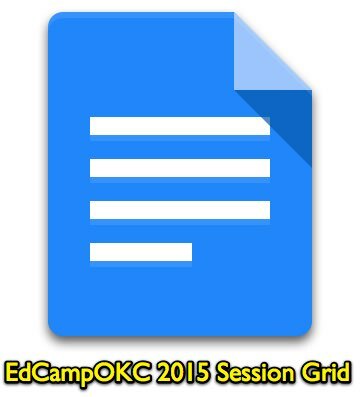 * This year we will not have a pre-EdCampOKC TweetUp, but we will have a post-event party / celebration / meetup!